Please refer to this page for registration information. If you have further registration questions or concerns, please address them by email with the registrar at registrar@gpsa-soccer.com. To register online, please go HERE. Online registration WILL CLOSE on January 31st at 11:59PM. Please note that there is a $4 processing fee for online registrations. 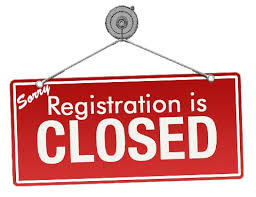 Registrations will not be taken LIVE after Saturday, January 26th . Please be sure to register your player before these dates. If you have any difficulty at all, please e-mail registrar@gpsa-soccer.com. All players must provide a copy of their birth certificate. If registering online you will be emailed for verification. Registration is open to players born between January 1st - December 31st in the years 2014 to 2007. For players in born in 2006 we will take registration forms without payment and collect payment if we have enough registrations for a team. Exceptions cannot be made due to insurance guidelines/requirements. Late registration will be handled on a first come, first served basis by email only. For more information send an email to registrar@gpsa-soccer.com and include your players name and DOB. PLEASE BE SURE TO REGISTER YOUR PLAYER DURING THE DATES LISTED BELOW. LATE REGISTRATION IS NOT GUARANTEED NOR SHOULD YOU RELY ON IT. *RECREATIONAL Player born in 2006 must register in person. No fee will be accepted until we are sure that we have enough to form a full team. *RETURNING PLAYERS - Go back to the same team they played on in the fall (August - November) and wear the same uniforms. That is the reason for the discount. Competitive team uniform includes shorts, 2 jerseys and 2 pairs of socks (red and blue). The current style will be used through May 2020. In Spring 2017, returning players are not required to purchase a new uniform. Recreational uniform includes black shorts, 1 jersey and socks. Looking for a Registration Form or Medical Release Form? Visit our Downloads page.